Las Vegas has become the most famous place in the world to exchange vows on your wedding day. 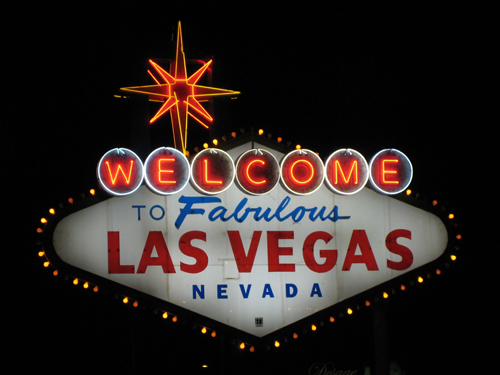 Vegas VIP will ensure that your wedding day will be a special memory, never to be forgotten. Planning your wedding in Las Vegas through Vegas VIP will guarantee you a wonderful time with your family and friends, free of stress or anxiety knowing every last detail is handled by our professional staff of event planners. Vegas VIP will create a wedding ceremony that is elegant, distinctive and calming to fulfill your dreams. Your Las Vegas wedding will include the most important essentials helping you to create a wedding that fits your special needs and budget, while our dedicated staff can guide you along every step of the way. Every couple enjoys the dedicated services of a Vegas VIP Wedding Consultant, who will make every reservation, book every venue and ensure every detail is perfect, from flowers to photography and videography, you will enjoy your very special day at any one of the incredible wedding locations Vegas VIP offers in Las Vegas. NOT RECOMMENDED, we got more complains about this chapel than any other, the stuff at Little chapel of the west is not very helpful and there are ton of disaster wedding stories which some appeared on loca channels. Do not risk your once in a lifetime experience by planning at little chapel of the west wedding chapel. Vegas VIP can assist you with all the details of your wedding day at Little Chapel of the Flowers including the Marriage License which you will need to bring with you for your ceremony. Vegas VIP will provide a caring and eloquent minister to perform a personalized ceremony to suit your beliefs and backgrounds. Vegas VIP offers many different and unique packages at Little Chapel of Flowers located on the Las Vegas Strip to fit your special needs. We look forward to making sure that your special day is unforgettable! Mandalay Bay's sophisticated and contemporary design makes it the ideal setting for a memorable wedding. Especially yours! Guests enjoy the enchanting view of the tropically-themed Mandalay Bay beach as they await the bride's arrival down the altar. Vegas VIP will spare no effort to create a memorable and successful wedding that you will cherish forever. After all, your wedding should be a unique and special as you. Vegas VIP provides music for the ceremony, a complimentary ride in a limousine to the marriage license bureau, a wedding specialist from Vegas VIP, and the use of dressing rooms prior to the ceremony. It's your day. Let professional staff from Vegas VIP handle all the details. Vegas VIP will make your fantasy a reality on your wedding day. The Forever Grand Wedding Chapel has two luxurious wedding chapels which provide the perfect setting for your dream ceremony. Let Vegas VIP's staff of professional event planners help you experience the heights of elegance and service as you prepare for the exciting day! MGM Grand's wedding chapel has packages ranging from $200 to $2,000 to fit your budget. Call 1-800-Vegas-VIP and take the first step to planning your fabulous day at the Forever Grand Wedding Chapel. A Special Memory Wedding Chapel is one of Las Vegas's most famous places to tie the knot. Some of the great features this chapel offers are a beautiful New England style chapel, a romantic spiral staircase, unity and candlelight ceremony, complimentary limos, professional hair and make-up consultants and more. Vegas VIP's professional staff will help you plan your perfect wedding. Packages at A Special Memory start at $199 - $599. Vegas VIP can also help you plan unique weddings such as hot-air balloon weddings, helicopter weddings, Mt. Charleston weddings, and more. Make your wedding unforgettable. Call Vegas VIP today! Romance, elegance, beauty and sophistication are all hallmarks of a dream wedding. Combined with the unhurried and personalized atmosphere of a traditional wedding provided by Vegas VIP at Viva Las Vegas Themed Weddings, the long-awaited wedding of your dreams can now become a reality. Behind the dazzle and bright lights of Las Vegas lies a romantic, serene world that speaks only to you. Let Vegas VIP create a wedding that makes you and your wedding day the center of the universe. Vegas VIP's wedding coordinator can arrange all of the details to perfection, including limousine transportation, flower and photo packages, singers, and music for the most important day of your life. We never rush a wedding, so you and your family and friends can relax and enjoy the blessings of this fabulous day. Let Vegas VIP make your dreams come true. Vegas VIPs staff will make your wedding at the Wynn Salons an event you'll remember for a lifetime. The Wynn Salons have created an elegant setting that is distinctive, beautiful, and calming. Vegas VIP's staff will create a wedding that meets your special needs, exceeds your expectations and fulfills your dreams. The Wynn Salons are furnished with delicate complementary tones and elegant upholstery, all lit beautifully for your special day. Let our professional wedding consultants handle all the details and reservations and make your wedding day a life-long memory. Call 1-800-Vegas-VIP for package pricing at the fabulous Wynn Salons.